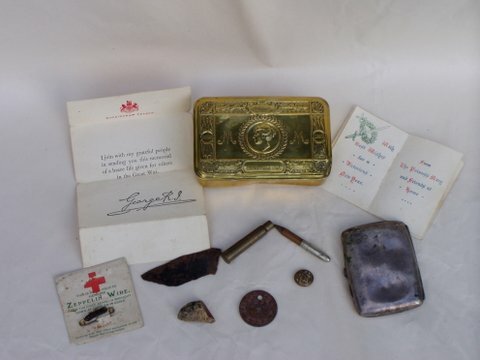 The great conflagration of World War One with its high casualty rates, particularly on the Western Front, affected families across the whole UK. Some suffered more than others as was the case with the Burr family of Dunvarrich, Tongue. Head of the family, Peter Burr, hailed originally from Aberdeenshire but had moved to Shapinsay in Orkney in the closing years of the 19th Century as manager of one of the many stores being built in the islands, and in North-west Sutherland, by another Aberdeenshire man, the great entrepreneur, Robert Garden. When Garden opened his premier mainland store at Tongue, Peter moved there with his wife Annabella and their growing family to take charge of the expanding enterprise and, when the Garden empire collapsed in 1932, bought the premises from the receivers, Todd Holdings of Leith, allegedly at a very good price. 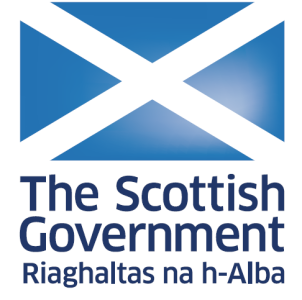 However, in between came WW1 and, in November 1914, Peter and Annabella’s eldest son, Peter, signed up with the Argyll and Sutherland Highlanders. 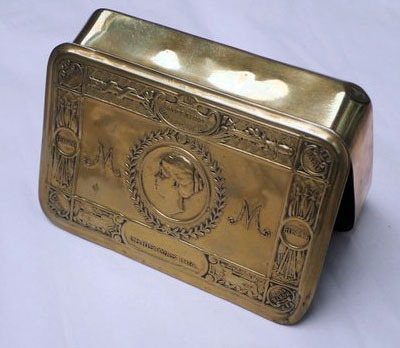 Two other young men, William Mackay from Glasgow, though with strong local connections, and Magnus Mackay from Scullomie, a sixteen year old who lied about his age, also enlisted in Tongue on that same day and none of them survived the war. Peter, by then a 20 year old Lance-corporal, was killed in action near Martinpuich on the 20th August 1916. 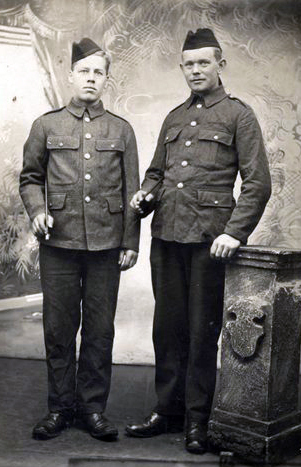 His friend, Magnus, by then 18, was killed near Loos due to enemy shellfire on the 19th March 1916 and William was killed in action on the 15th September 1916 during the Battle of the Somme. 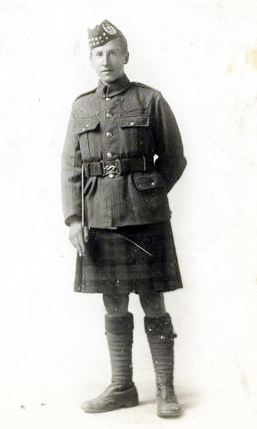 As the war dragged on, with little sign of impending victory, Peter and Annabella Burr’s second son, Charles, joined up with the Gordon Highlanders and, after coming home to Tongue on leave in April 1918, was posted to the 6th Battalion of the Cameron Highlanders in France. 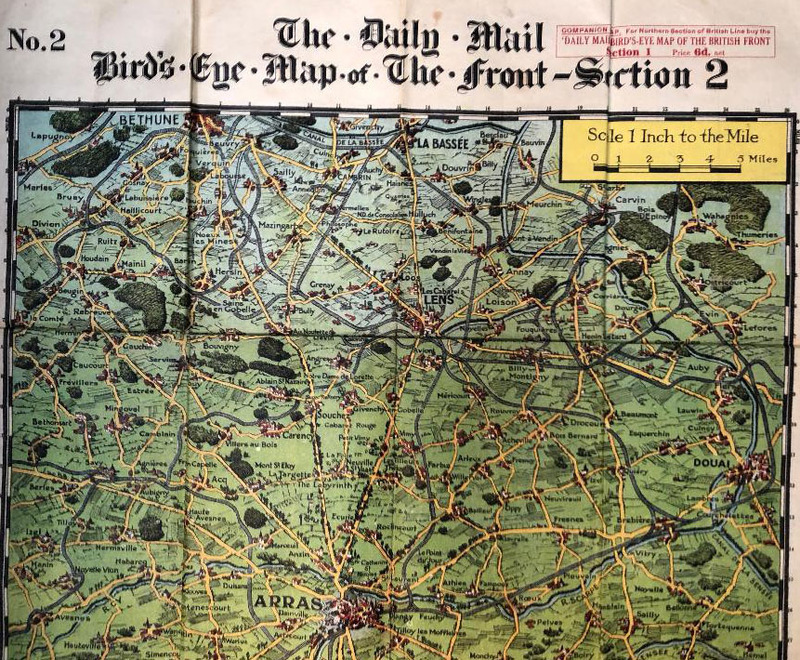 On the 23rd of July, after less than two months in France, Charles was among the eighteen Cameronians killed on the front near Berczy in an attack intended to cut off a bulge in the German line. 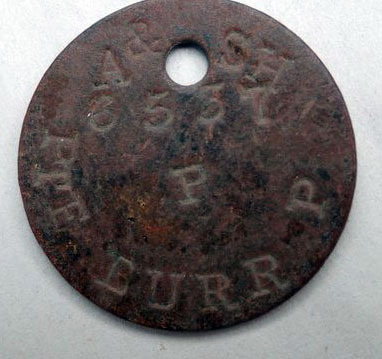 As well as being named locally on the Tongue War Memorial, the Burr brothers are commemorated at their graves in France with Lance Corporal Peter Burr’s name appearing on the Thiepval Memorial and Charles at the Bouilly Crossroads Military Cemetery. They are of course, as the centenary of the Armistice passes, still extant in the memories of the Burr family including their sister Mrs. Marjory Strachan, now over 100 but still alive and well and living in Inverness. They were further commemorated on Armistice Day this year when, along with all those whose names appear on War Memorials in the Mackay Country from Melvich to Scourie, individualised poppies, each with the name of one of those lost, were laid at the Memorials along with the other tributes made that day. Further details on those who appear on the Tongue, Melness and Skerray war memorials may be found in the comprehensive and well researched book Nevermore by Alasdair Sutherland, formerly of Tongue. 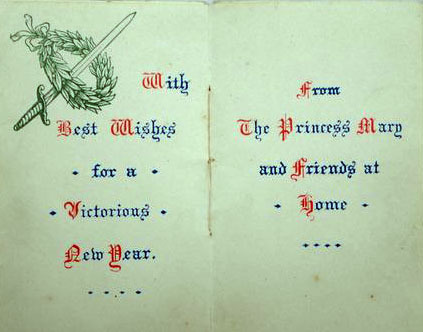 The photographs, postcard, and other memorabilia relating to the Burr brothers which appear below were brought to light by Marjory’s son Mike Strachan. 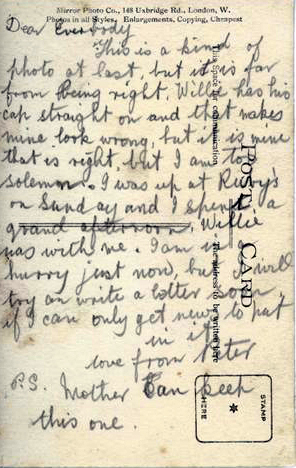 A postcard from Peter Burr to his mother together with a photograph of William Mackay and himself in which he complains that William’s cap isn’t on properly. 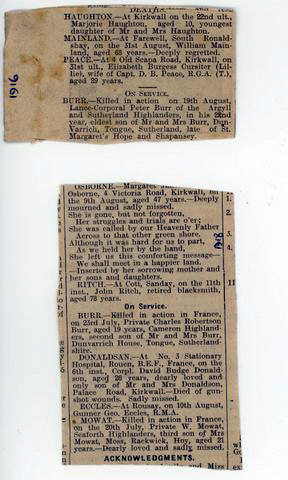 Death announcements in the local papers. 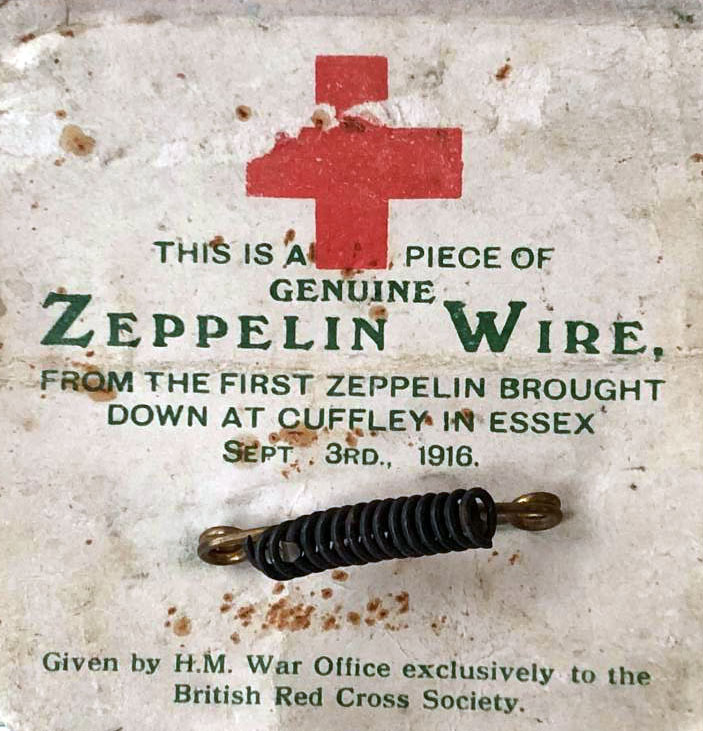 There’s an interesting story about the little gold box – The Princess Mary Box – when it was returned to the family it contained a fragment of shrapnel and a wire artefact said to be from the first Zepplin to be shot down over England in the war. 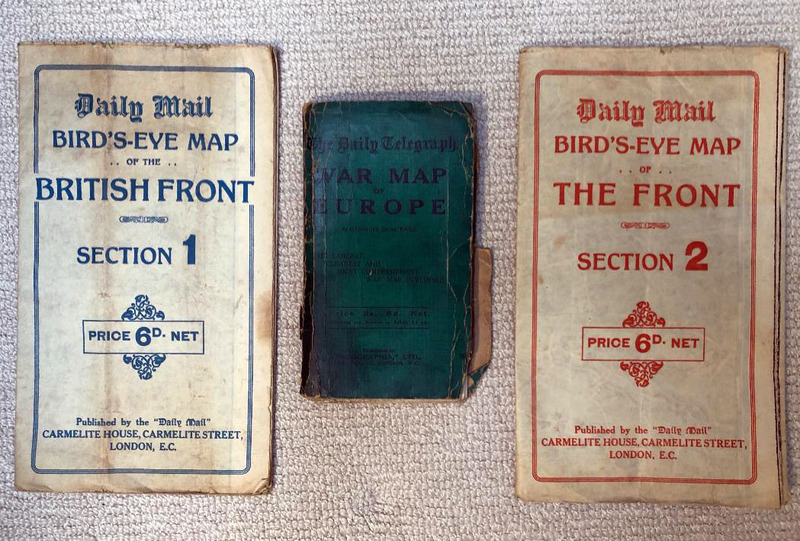 Maps of the front line which were published in the national papers during the war presumably so that the people at home could follow the ebb and flow of the conflict though it is doubtful if they would be fully aware of where those dear to them would be serving at any given time.